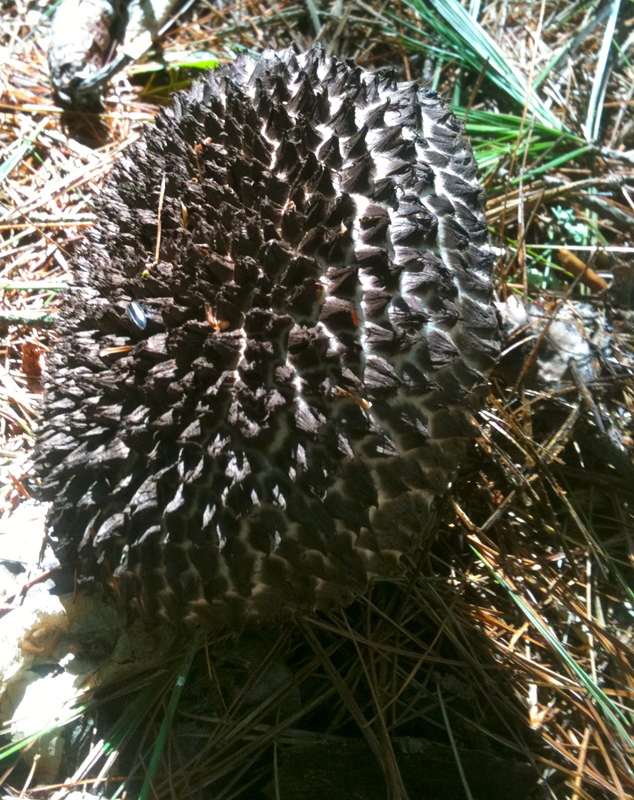 Defining characteristics: A medium to large bolete (2-6 inches across) with black spiky scales on its cap. The pore surface starts off lightly colored, but darkens to near black with age. The flesh is white but bruises pinkish-red when first cut and then slowly turns to black. 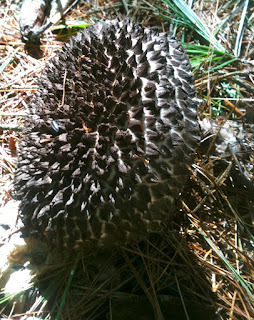 I find the Old Man fairly frequently here in Rhode Island once the prime mushroom season starts (mid-August). It often appears to be solitary, but if you look around there may well be a group of them hiding nearby. You are not likely to confuse this mushroom with much else, and it is one of the most striking and beautiful mushrooms if you find a fresh specimen in my opinion. Unfortunately it is not supposed to taste good- one reference says that it starts off tasting bad, and gets worse. I have included it here as it is an easy mushroom to ID, and something you will probably find on foraging trips in the area.